International labor migration is a multi-level, multi-dimensional, social phenomenon studied by specialists of different branches of science. The scientific views on the content of the concept, causes and factors, consequences, etc. have been developing together with the progress of the phenomenon and are developing until now. The chapter is devoted to the influence of the world economic trends (globalization, integration, transnationalization) on the international labor movement and change of theoretical approaches to its analysis in the historical development of society on the example of modern concepts. 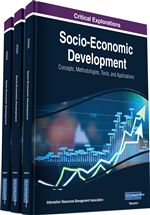 This research was previously published in Urbanization and Migration as Factors Affecting Global Economic Development edited by Denis Ushakov, pages 1-13, copyright year 2015 by Information Science Reference (an imprint of IGI Global).